The percentage of obesity is inversely related to income. How can that be? How can the poorest people be the ones who take in the most calories? The un-obvious answer, food subsidies. Ok, you think I’m kicking at the poor farmer’s last chance of making an income at a time when family farms are disappearing just because subsidies are an easy target… but hear me out. Walk down any supermarket aisle, and pretend you had ten dollars to spend for food. How could you get the most calories to sustain your poor family? Not with fresh fruits and vegetables. For your ten dollars, you cold buy 2,500 calories of carrots, but if you spend it on potato chips or Twinkies, you can buy 12,000 calories. If you buy orange juice for your hungry munchkins, you can get 1,750 calories, but if you buy them soda pop, you can get 8750 calories. And the crazy part is, the farmers who are crying to keep their subsidies so they won’t lose their farms may be shooting themselves in the foot. Up until 2002 the US subsidized Tobacco (try to figure that logic). Since they quit, amid decreasing tobacco product sales in the US, the farm land devoted to growing tobacco has INCREASE (not a typo, it went up, got bigger) by 20% (STOP, that is one additional new acre growing tobacco today for every five acres growing it in 2002, maybe more, because my statistics come from 2006) What? WHY? Simple Economics, my friend. AS the price decreased, suddenly American farmers became competitive in the international market where lighting up a Marlboro to kill yourself and your family is still considered to be ultra chic. And so the American farmers are suddenly, even at higher labor cost, able to sell to the world market at a profit. What kind of a profit? Well, the poor guy growing corn for Ethanol makes about \($250\) an acre; not bad, but the guys growing tobacco to share our cancer culture with the underprivileged of Asia and Africa is knocking back \($1,800 \) an acre WITHOUT the subsidy. Surely there is an economics lesson in this somewhere. Can you imagine sales in the snack bar if Twinkies were a dollar and apples were twenty-five cents instead of the other way around? Would it change consumption patterns in our youth if Orange juice was cheap and sugar filled junk juice was expensive? And perhaps way down at the bottom line there is a moral question involved in promoting the export of home grown tobacco on one hand and pledging to make our country smoke free on the other. 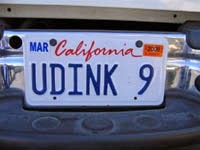 From the “Whatever happened to common sense?” file.. A man in Oregon named Mike Udink decided to personalize his auto plates seven years ago with his last name, so he got a vanity plate with Udink 1 on it. A couple of years later the family added wife Shelley’s license, Udink 2. And then only a couple of years ago when young son Kalei came of age, they got him a car and …. Yep, you guessed it, Udink3. This year, another child ready to drive, the family added a fourth car, and Mike and Shelley applied for …YEP, Udink 4. But guess what? The state refused the license. It seems that the Dutch name Udink, is offensive to the Oregon Department of Motor Vehicles. So offensive, in fact, that they are being ordered to turn in the “offensive” plates they have had for up to seven years! "DINK has several derogatory meanings," Yvonne Bell, who sits on the Department of Motorvehicles panel that approves vanity plates, told the Daily Courier newspaper. She went on to add that the word can be treated as a verb, which gives it a sexual reference, and also can be a racial slur targeted at the Vietnamese, and then, to show she was “jiggy” with the urban lingo, states that the "U" in the front could be construed as "You." Wow, no wonder it went unnoticed for seven years. You have to admire those clever Nederlanders. And I thought Dink was a term for Yuppy couples from the 80’s, Double Income No Kids. Ok, I teach in a high school, and honestly, I doubt there are three words in the unabridged dictionary that do not have some sort of sexual or derogatory reference. Given half a chance they can make something obscene out of EUK 347. I can imagine the straight faced official who walks out to tell Mr Udunk that he cannot have such an obscene name on his new “Hummer”. Perhaps wearing the new “fcuk” logo shirt his children gave him for his birthday. Strange pattern to articles I have been reading lately, maybe a sign of changing times, or maybe a sign of how hard it is to get real change to happen. I just came across a really interesting 1859 study on childbed fever. Two sections of a maternity hospital had very different mortality rates for mothers and babies. It seems the sections were all mid-wives in one section and all doctors in the other. The mortality rate for midwives was much lower than the doctors. WHY? The suggestions were incredible. Many believed that the disease was caused by the shock to the delicate system of the ladies when they were exposed to male doctors and interns viewing their “delicate” parts. The real result was found to be that the doctors frequently went from handling cadavers directly to the delivery room without washing their hands, or doing so poorly. Part of the interesting statistics; when asked, 73% of doctors reported they washed their hands before delivery every time. Nurses who were asked to observe and report back if the doctors REALLY washed their hands, reported a greatly different result. Only 9% of doctors coming into delivery washed their hands. Note to Statistics Class: A survey reports what people want you to think about them, not what they really think or do. Then there was the headline on a Newmarket newspaper laying in the teacher’s lounge when I went down to run off a quiz that one of (perhaps the) last men-only clubs in Newmarket would be forced to admit women. And then out of the blue, a woman invades the dohyo (the raised platform where sumo rikishi do battle) at the Kokugikan, Japan’s principal sumo stadium. The ring is considered sacred, and rebuilt by the Yobidashi for each basho (a series of fifteen matches that occur every month) and blessed by the priests. If it is contaminated by anything unclean the matches must be halted while the dohyo is purified by the Yobidashi, usually with salt. It is not just women who are considered unclean; I have seen five to ten minute delays often when the blood of a rikishi is spilled in the ring. But it is not JUST the dohyo where women are excluded in Japan. The last line of the article pointed out that ,”Women were also banned in the past from climbing mountains or entering mines in Japan.” Yeah, nobody has enough salt to purify a mountain. And then back to hand-washing, A report from a recent meeting of the American Society for Microbiology says that hand-washing has declined by 6% since 2005. According to the study, the counts were made by “discrete observers” in restrooms. Perhaps Senator Craig could have claimed he was helping confirm the study for his pals in the senate. And who is the culprit? It’s the guys. Men have dropped to 65% on exiting the “loo” from a previous high of 75%. Women have also slacked off a little (he adds defensively) from 90% in 2005 down to 88%. Strangely, in a telephone survey, 83% of all people report washing hands after using the bathroom at home, but only 75% after changing a diaper???? If all men are pigs, as women protest, sports fans are the biggest pigs. Men observed at Atlanta Braves ball games at Turner Field dropped to 57%. Pass them hot dogs the OTHER way please. I think my next doctor will be a woman. Preferably one who doesn’t like baseball. A town council in Germany has decided the best way of improving road safety is to remove all traffic lights and stop signs downtown. From September 12, all traffic controls will disappear from the center of the western town of Bohmte to try to reduce accidents and make life easier for pedestrians. In an area used by 13,500 cars every day, drivers and pedestrians will enjoy equal right of way, Klaus Goedejohann, the town's mayor, told Reuters. For over five years I have held fast to the opinion that a student in my school (and in most others) was more likely to be harmed by a fire drill than by a fire. It is a matter of simple mathematics. Not one person has been harmed in any school I work at by a fire, and I have worked in schools for thirty years. Have they been spared because they were so well prepared by the drills that in the real fires they were able to exit safely? NO!, They were spared because in that time there has been one fire, a smoldering trash can that set off the smoke alarm but never actually burst into flame. In seven years at my present school one alarm went off when girls celebrating a birthday lit candles on a cup cake and the smoke alarm went off (had to be a very delicate setting). In that thirty years as an educator, I have had something like ten fire drills a year, at no less than ten minutes each. Do the math. 30 years times ten drills is 300 fire drills. With an average of 600 students per school that makes 180,000 congested mass exits and entrances from a building. To avoid ???? zero fires. I teach HS kids, actually very smart ones. They are the best and brightest in our school. Is it really reasonable to presume that they would fail to extract them selves from the building in the event of a real fire? So what is it that makes people feel that they need to make rules for other people to follow? Somehow, one envisions council members sitting around their tables discussing the carnage that may ensue if people actually cross the street where ever they want to, drive across the road when it looks safe, rather than when the light turns green. By instituting rules, we are able to avoid the risk that employees will use common sense. And so, we come to a situation in which, before your 747 jumbo cruiser can take off on your well-earned holiday to some far-away tropical isle, we pause, while stewards and stewardesses stand in the aisles to show us how to hook a safety belt. The article was full of statistics, frequently about different age groups, often given in rates per 100,000 people, more helpful,or percentages, less helpful. But after reading the article carefully, I was left with one still unanswered question; “How many people is that?” It doesn’t have to be exact, but I would want to know within a power of ten or so. A hundred? A thousand? Ten thousand? With pencil and calculator in hand I set out for the CDC data base on violent deaths, population, etc. So here are some of the bullets from the article, with some numbers added to the percentages and death rates about the actual number of deaths. The decline took place from 1990 to 2003 (from 9.48 to 6.78 per 100,000 people), and the increase took place from 2003 to 2004, (from 6.78 to 7.32), the report said. Particularly perplexing was a reference to a huge change in the number of deaths by suffocation in young girls, perhaps because there have been reports of middle school kids playing “choking games” in several health and education bulletins. I wondered as I read this how many of the extra “suicides” were actually accidents while practicing or playing their “game”. suicide for every 100-200 attempts (Goldsmith et al. suicide for every 4 suicide attempts (Goldsmith et al. Amazingly, young people are very inept at killing themselves, but if they became as efficient as the senior citizens, they would be producing numbers so large the percentages would look like mistakes. At a success rate of 1 for every four instead of one for every hundred (conservative estimate) the number of deaths in 2004 would have been over 100,000 deaths, just in the 10-24 age bracket. The rate of suicide for adults aged 65 years and older was 14.3 per 100,000, so there were also about 5005 seniors who killed themselves in 2004. Their increased chance of success (only in statistics can killing yourself attract the label “success”) at their self destruction makes their numbers almost reach the 10-24 group deaths. First thing on the page labeled "Five Leading Causes of Deaths Among Persons Ages 10–24 Years, United States, 2010 was this graph. I was amazed to see that the number of Homicides was almost exactly equal to the suicides. The number is also slightly more than the app 4600 I estimated above for the deaths in 2004, or about a 6% increase in six years. A suicide fact sheet (Facts at a Glance) contained the following two seemingly paradoxical statements. So my original thought still seems valid, a 10% increase can be a very large thing, or not so very. Ok, absolutly nothing to say...but I found a link to this and think it is a GREAT song... thought I would share. Like the old saying goes, "When you're not with the one you love.... open a beer, turn out the lights, and turn up the country." Go ahead, close your eyes. NEW YORK (Reuters) - The world's leading toymaker, Mattel Inc, on Tuesday announced a third recall of Chinese-made toys, saying it would take back more than 800,000 units globally that contain "impermissible" levels of lead. Uh huh, That's what they want you to think! But I've been to the future, and this is a headline from 2015. ANN ARBOR, Mich., Sept. 1 (AP) — Dexter Jackson sprinted through the secondary early in the first quarter, taunting nearly 110,000 Michigan fans by putting a finger over his lips en route to the end zone. Nearly three hours later, he got the desired result and the Big House was silent: Appalachian State 34, No. 5 Michigan 32. For those who know even less about football than I do, Appalachian State is a Div I-AA school, which means, they are not even in the same class as Michigan however you interpret class. How outclassed were they? Well, No Division I-AA team had beaten a team ranked in the Associated Press poll since at least 1989. Now a genetic study must look at genes somehow,,, RIGHT??? So they looked at Human genes, or Ape Genes, or both,,, and decided that the demise of the orangutans is our fault?? WAIT... I'm not denying that humans are the most likely culprit in the demise of most of gods little (or even large) furry creatures, but proving it with a gene study??? "We used the DNA information to simulate population history and detect evidence of a population decline," Goossens explains. Michael Bruford, and their colleagues report that the collapse occurred within the past hundred years, and most likely within the past decades--coinciding with massive deforestation, which began in the region in the 1890s and accelerated in the 1950s and 1970s. " Aha, and they have found evidence that the population is decreasing. And they narrowed it down to 40 to 110 years ago (seems like a pretty big margin of error, but I'm OK with that). So what's missing? Did you catch the part where they "proved" the extinction was caused by humans. Ummm, NO! What we have is a correlation between two things. Now I suspect that they are right. I suspect the loss of habitat is probably what has caused a major part of the decline, and probably they are right that continued "massive deforestation" , if unchecked, may well lead to their demise. What I object to is the use of the word PROOF. Send them boys back to Stats class for the lectures on causation and correlation. Maybe, but Martin Coles, president of Starbucks Coffee explains their continued effort to expand there with a unique marketing approach, “We do not spend a great deal of time focusing on our competition“. Perhaps this explains the loss of confidence that has dropped their stock by 30% since its November high. But Mr. Coles confidence must have a basis, and it seems it is a confidence based on a cross between P T Barnum (“You can never go wrong underestimating the public taste.”) and Elmer Wheeler’s Sizzle. Starbucks's executives predict its beverages will appeal to Muscovites' affinity for Western brands. They say the experience of sitting at a Starbucks will attract customers regardless of whether they like the taste of coffee. "What we've found everywhere we've opened is we become a landmark overnight." Ummm, Mr. Coles, What about China, where you were “asked” to remove you store in Beijing because it was “offensive”? What about the planned introduction that was going to sweep through India, but has now been delayed (cancelled?)? Perhaps we can come up with an introductory TV slogan for Starbucks introduction to the Russian market. Does anyone know how to say “Drink this swill even if you don’t like the taste” In Russian? Contrary to Popular Opinion, You can NOT prove ANYTHING (to most people) with Statistics. Honest, the first day back at school, and barely half way though the day, at a school improvement meeting, someone quotes the oft cited, “You can prove anything with statistics.”. I’ve always felt that was untrue, and held a sort of Lincoln-ish idea that “You can fool some people with bad statistics all the time, and you can fool lots of people with bad statistics most of the time, but you can’t fool everybody with bad statistics all of the time. But today I found evidence to suggest that in fact, you may not be able to prove anything to the general public with statistics. Ok, so it is the start of the year and I’m searching out stories with data for my classes and along the way I came across studies (good ones mostly) that suggest a whole bunch of stuff that you probably couldn’t “prove” to folks in general. Here are four in particular that might seem to go against the “common intelligence” , and some of the evidence that supports them. How many do you belive? 1) Participation in Sport may actually increase crime, and most certainly does not reduce it! 2) Seventy-five thousand people (raise your hand if that is more than the population of your home town) in the US could have been saved from Hospital caused Death if Doctors had applied an inexpensive treatment that has been available (in Medical Journals) since 2004. 3) Your GM and Ford car dealer has the option of marking up the rate on your financing from the rate that GMAC or FOMOCO would offer you, and give them a big percentage for cheating you. 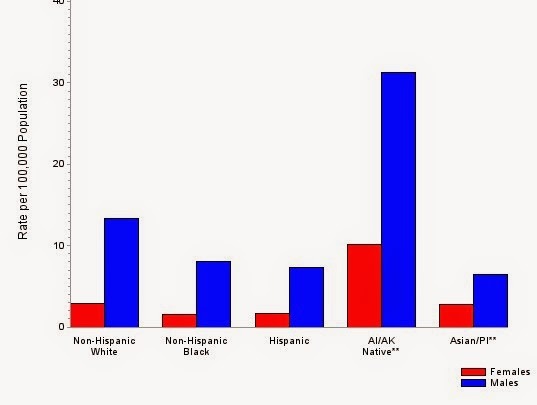 Average jack-up for white males is about $300, and minorities get soaked two to three times as much. (Think before you read below, how you might find this out with statistics). 4) The number of citations a law review article gets is reduced if the length of the title is long, or (wait for it) if the article has an equation, it gets cited way less (OK, math teachers knew this already). WOW, but wait, in case anyone on the coaching staff is still talking to me, he also wrote, “As well as sport can be a time of gathering, a time to party, practising sport can involve moments of high emotion that can push people to get their revenge after a humiliating loss or when they consider that the referees are responsible for their loss. This is the logic of the hooliganism: “They won but didn’t deserve it. Justice must be done”. For this young and alert population, it is the logic of the escalation of violence”. 2-4 all came about from a new field of statistics and economics made possible by the power of computing and the availability of large amounts of data about… well, about everything… The process is called “data mining” and come from a new book out called Super Crunchers: Why Thinking-By-Numbers Is the New Way to Be Smart. “In December 2004, [Berwick] brazenly announced a plan to save 100,000 lives over the next year and a half. The “100,000 Lives Campaign” challenged hospitals to implement six changes in care to prevent avoidable deaths. He wasn’t looking for subtle or sophisticated changes. He wasn’t calling for increased precision in surgical operations. No … he wanted hospitals to change some of their basic procedures. They used the fact that many states now allow you to pay a fee to obtain drivers license information, and plugged in the ethnicity of thousands of buyers to get the minority differences. And they wonder why people don’t trust car dealers!